Length 9.32m / 30'6"; Beam 3.12m / 10'2"; Draft 1.52m / 5'0". Year of Build 1977; Gross tons 7.51 / 15,020 lbs; Displacement 5,897 kg / 13,000 lbs . 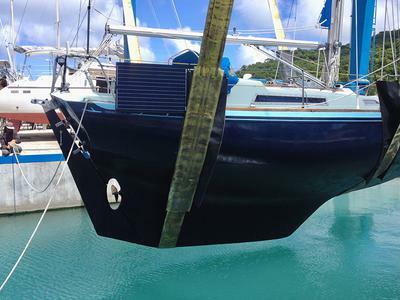 Builder: Camper & Nicholson; Hull Material: Fiberglass; Long keel; 5 berths. Engine/Fuel type: Yanmar 2QM20 Diesel, 22 hp. Water tank 300 L / 80 gallons; Fuel tank 90 L / 23 gallons. 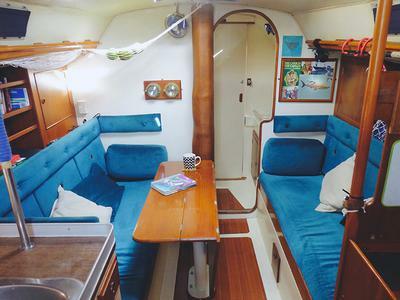 Built in 1977 by world-renowned British boat builders Camper & Nicholson, this 'go anywhere' ocean cruiser is well-known for her sea keeping qualities. 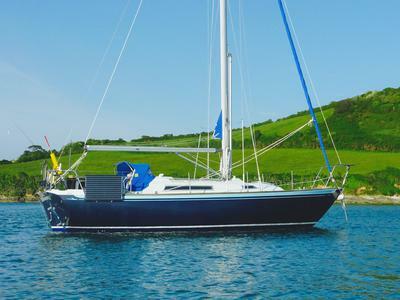 In excellent condition, she benefits from having had many upgrades including a purpose built mast with furling main sail and during an extensive 2016 refit had new standing rigging, a new Sea Feather wind vane, new solar panels, AGM batteries, navigation equipment and a Natures Head Compost toilet. Her hull has an epoxy barrier coat. Engine is original 1977, well maintained, running smooth - never missed a beat. Newly anti-fouled this week! Recent circumstances mean we have to sell our much loved Nic 31. She has safely sailed us all the way from England, down into the Mediterranean, across the Atlantic, up through the Caribbean and Bahamas. 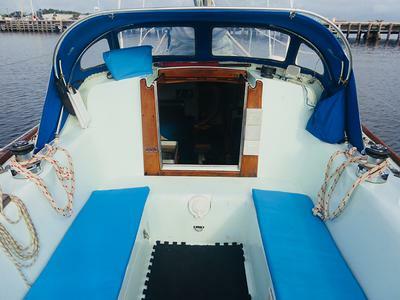 This robust and comfortable ocean cruiser is absolutely turn-key with everything included! Spares, tools, safety equipment. It is the original 1977 engine so we don't know the engine hours. Hatches re glazed in acrylic 2016, re-bedded and resealed no crazing and no leaks. 15m of 8mm chain for kedge or backup. All running rigging in good condition. In the saloon there is a large fold-out teak dining table.